Although I didn’t like the idea of logging in, I did setup a log in through my Google account. One I did that I set up my preferences, bar, etc. Now when I try to log back in via the google sign in, the button simply doesn’t work. Not sure why this is happening, but it is. When it was working it was a good app. But now it is unusable for me. 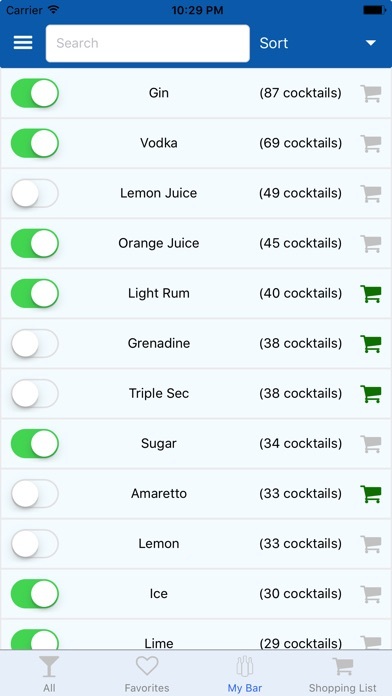 Looking for a cocktail app - this offered a bar inventory, shopping list function. I entered my bar inventory twice. 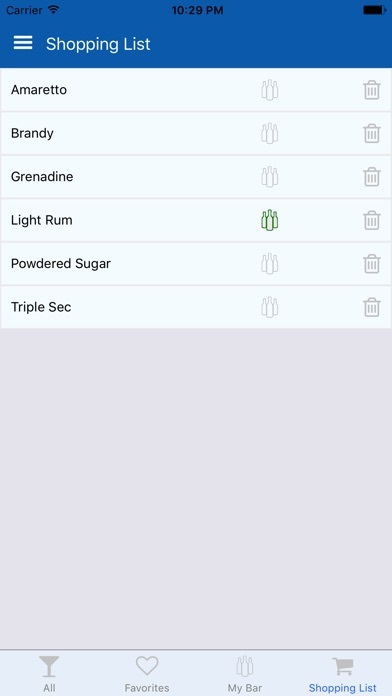 It created a shopping list that disappeared. Useless. I did not login using Facebook, but why should I? Loved this. 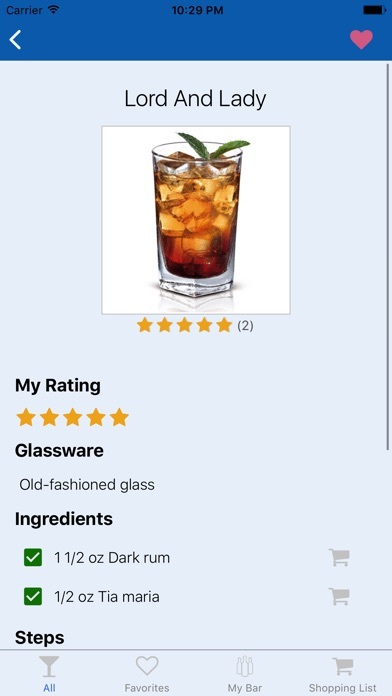 Easy to use and ridiculously helpful, especially when you have almost zero knowledge of mixed drinks. Well done. Wonderful tool for the mixing uninitiated. 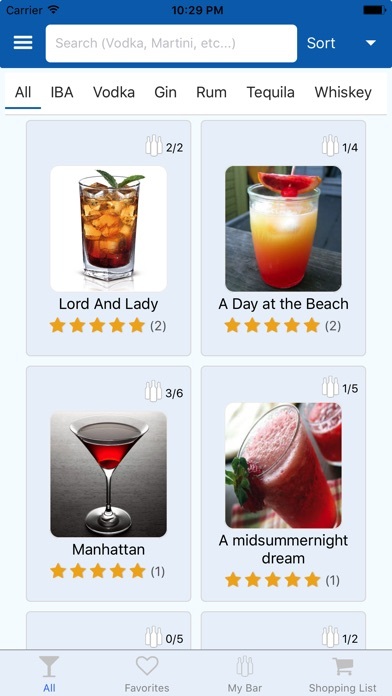 No other apps out there provide a handbook type resource for mixology as well as this one does. 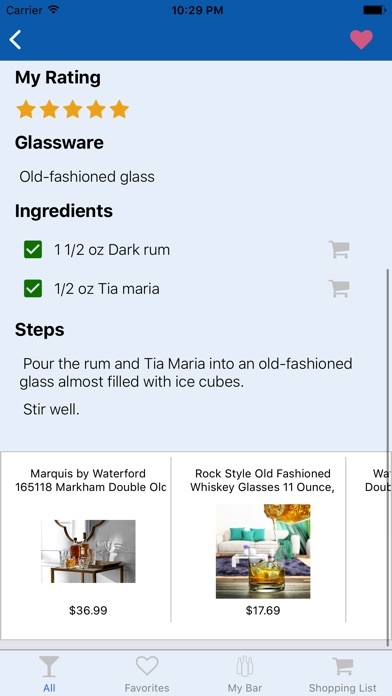 I love that CocktailPro lets you find recipes based on what ingredients you happen to have on hand... very helpful! 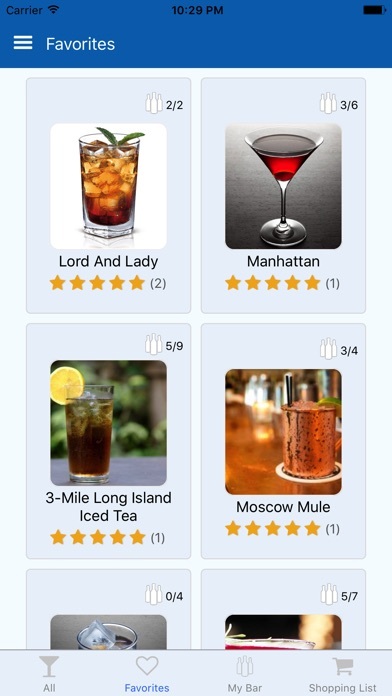 Awesome app to get some cool new cocktail ideas. Super easy to use! Found a bunch of new ways to enjoy my home bar.